Our Alien vs Predator queen had her size increased to twenty feet. She also became more streamlined, with her chest thinner due to the removal of puppeteers, the heel protrusions removed, her joints altered for increased sprinting velocity, and her legs proportionally larger to create a sturdier appearance. The figure is popping up for pre-order online now. The price looks to be $99.99 at most locations. 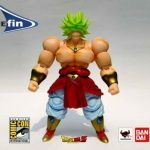 The figure is scheduled for release in January 2017. you can see the photos after the jump. 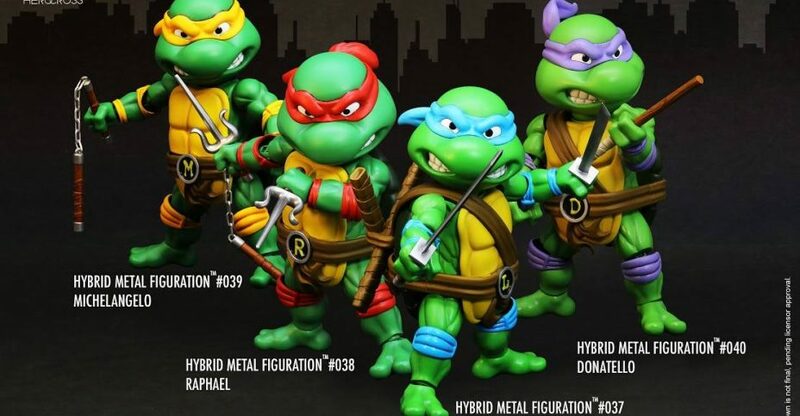 Toyark sponsor Big Bad Toy Store has added pre-orders for the upcoming Teenage Mutant Ninja Turtles Hybrid Metal Figuration releases by HEROCROSS. 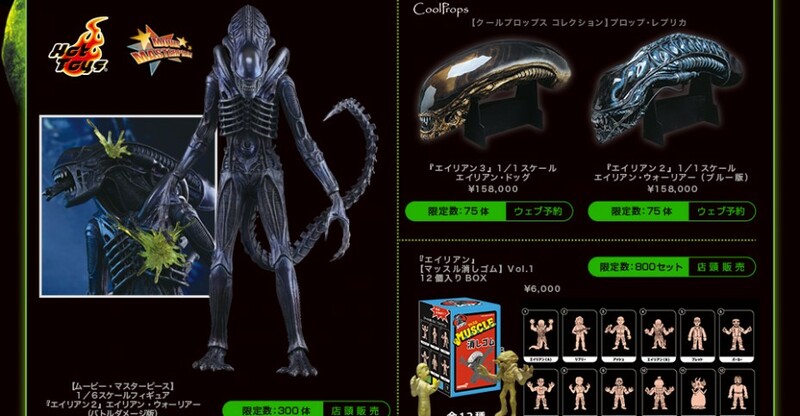 The have the figures listed for a July 2016 release. they are pricing the individual figures at $59.99 each, with a full set of four available for $209.99. 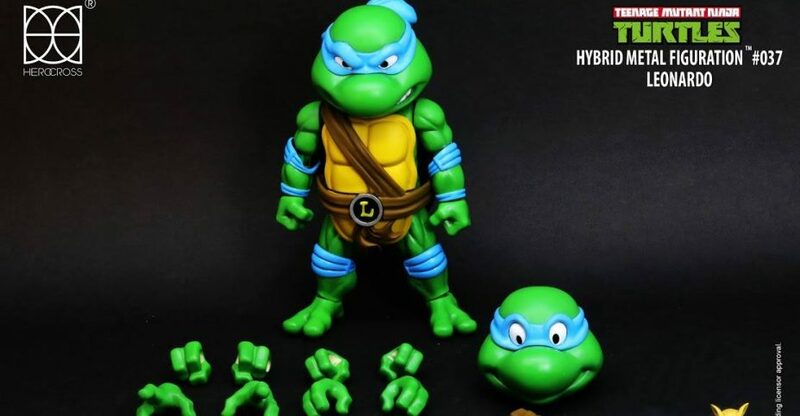 We’ve seen detailed images of Donatello and Leonardo. Read on for images of Michelangelo and Raphael, as well as info on all four Turtles. 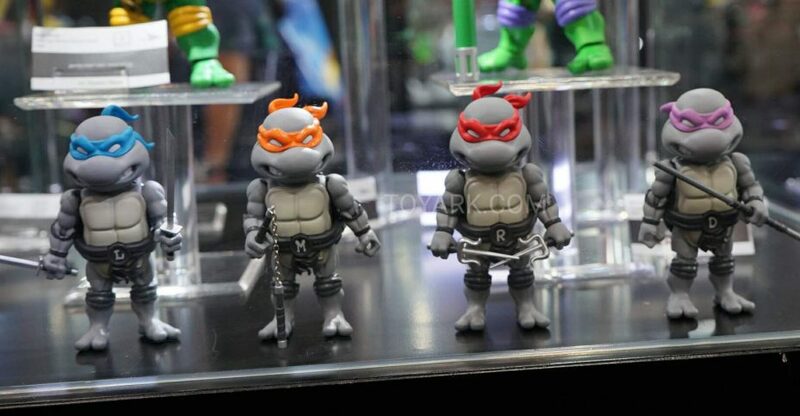 Last week, we shared images and info for the new Teenage Mutant Ninja Turtles Hybrid Metal Figuration releases coming from HEROCROSS. The first figure we had a detailed look at was Donatello. now HEROCROSS has released a few photos showcasing their upcoming Leonardo figure. The figure will stand roughly 6″ tall and will be fully articulated. Leo includes two interchangeable head sculpts, six sets of swappable hands, removable back mounted sword sheets and two katana. The figure will also come with a small pre-mutation Splinter. We don’t have any info on pricing or release dates at this time. We will continue to share any info we get. You can see all of the new photos after the jump. The Turtles are based on their classic 80’s cartoon appearance. The figure will stand roughly 6″ tall each and have plenty of articulation and accessories. They will also contain a larger portion of diecast metal. We’ll have more info as it becomes available. We’ve been sent the first set of photos from the upcoming assortment. 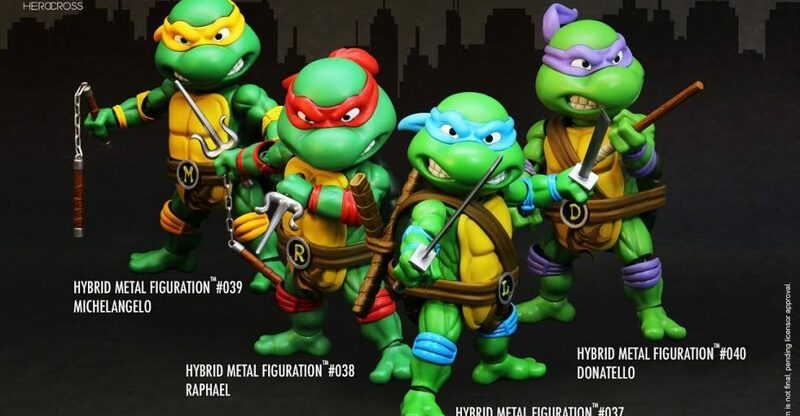 The first TMNT Hybrid Metal Figuartion release will be Donatello. The figure will include two interchangeable head sculpts, multiple hands, a bo staff and a mutagen canister. You can see an advertisement, featuring all of these items, by clicking the image above. HEROCROSS has posted up photos and details for their Hybrid Metal Figuration Batman v Superman: Dawn of Justice Figures. Included in the line up are Superman, Batman and Wonder Woman. Each figure, priced at $89, will include a piece of Batman’s armor. 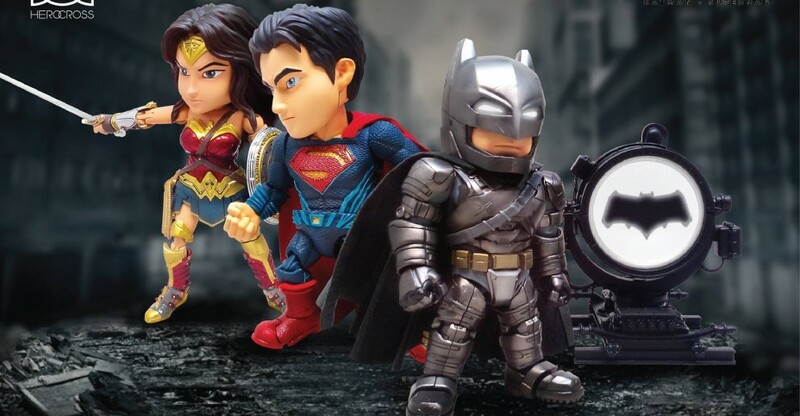 Collect all three and you’ll be able to turn the Batman figure into an Armored Batman figure. The figures will feature about 20 points of articulation and will have a mix of diecast metal and plastic. They will include character specific accessories. They’re scheduled to be release in the third quarter of 2016. You can see photos and more info by reading on. The newest Hybrid Metal Figuration figure coming from HEROCROSS has been revealed. 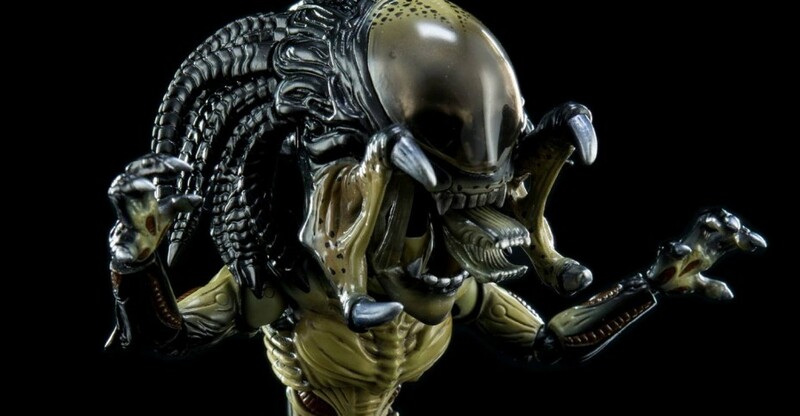 They have posted up new photos for their Aliens vs Predator: Requiem – Wolf Predator. The Wolf Predator is the main Yautja from the second AvP film, and a veteran hunter with numerous kills, along with the battle scars to prove it. 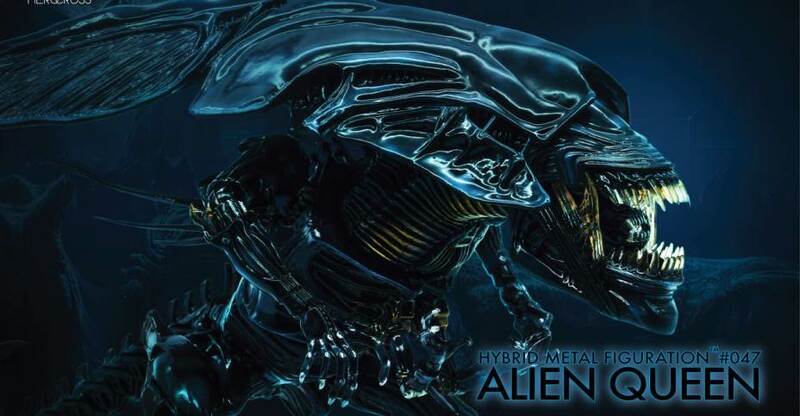 He is dispatched to clean up the mess created at the end of the original Alien vs Predator film, taking on numerous Xenomorphs and the PredAlien hybrid. 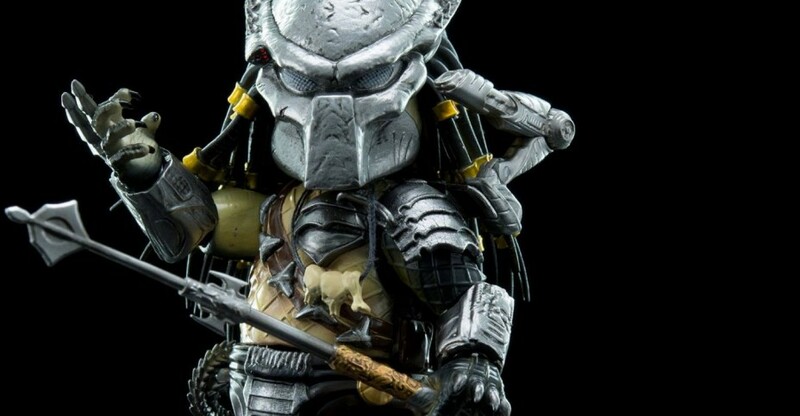 The roughly 6″ tall Wolf Predator figure will feature over 20 points of articulation. It will include swappable hands, extended and retracted combisticks, a whip, a medicomp, and more. The mask is removable as well. It’s priced at $102 with a release scheduled for the second quarter of the year.